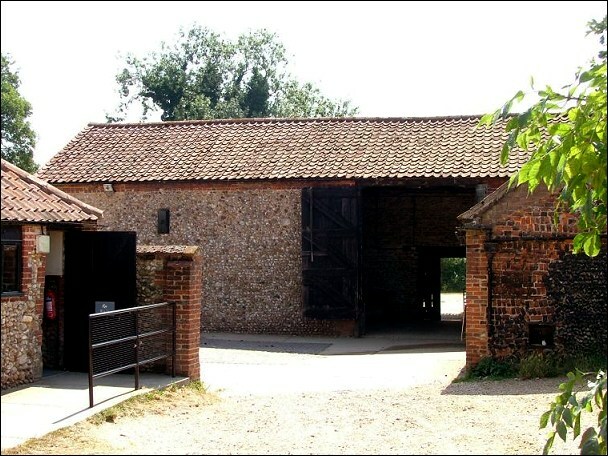 The Gressenhall Museum of Rural Life is one of Norfolk's most interesting attractions, a former workhouse filled with a collection of things-gone-by. It is set on the road to Beetley, and nearer to that village than the one from which it takes its name. 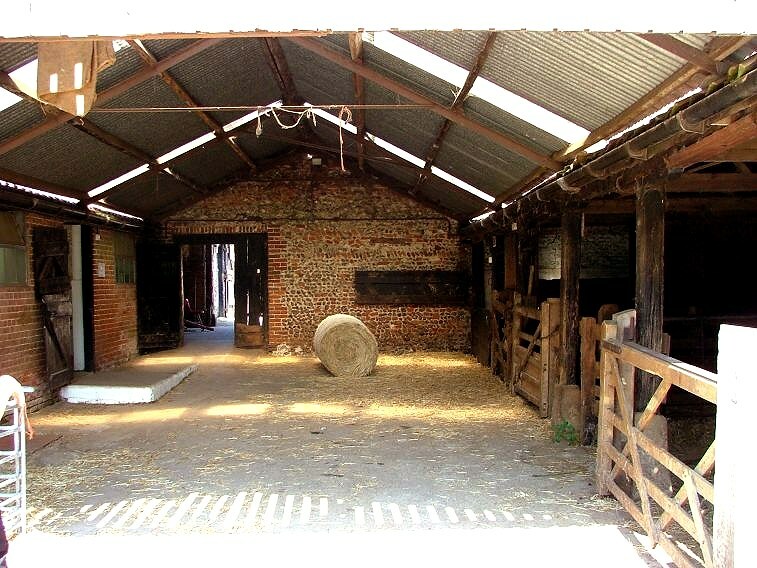 Across the busy road is Union Farm, a part of the Museum and a place to see some of these artefacts in use. There are pleasant walks, and a model farm, and generally it is an interesting place to take your children. 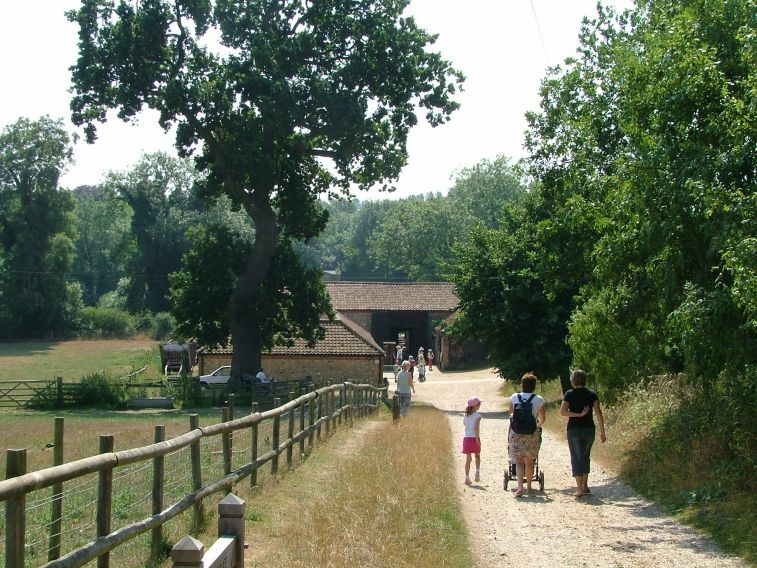 We came here on a really hot day in the summer of 2006, and a patient shire horse was dragging a trailer of delighted children along the narrow lanes. 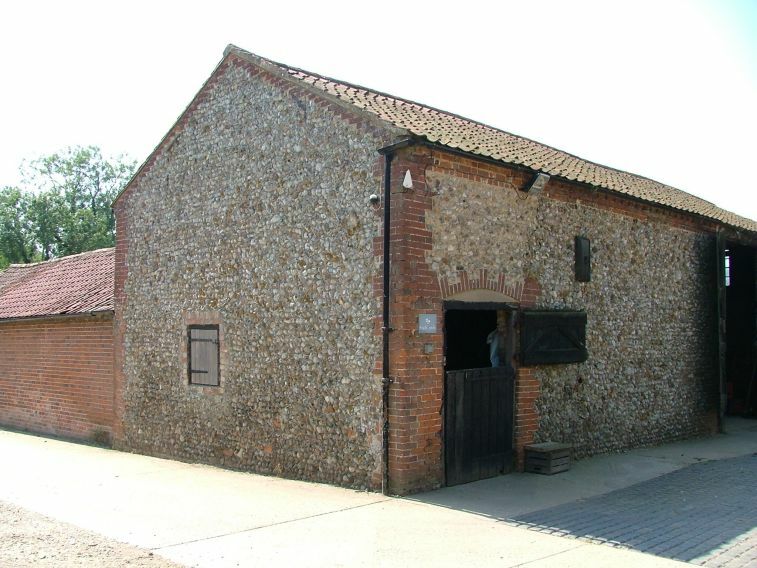 A curiosity is that Union Farm is historically neither in Gressenhall nor Beetley parish, but in the outer limits of the parish of East Dereham, forming the hamlet of Rougholm. 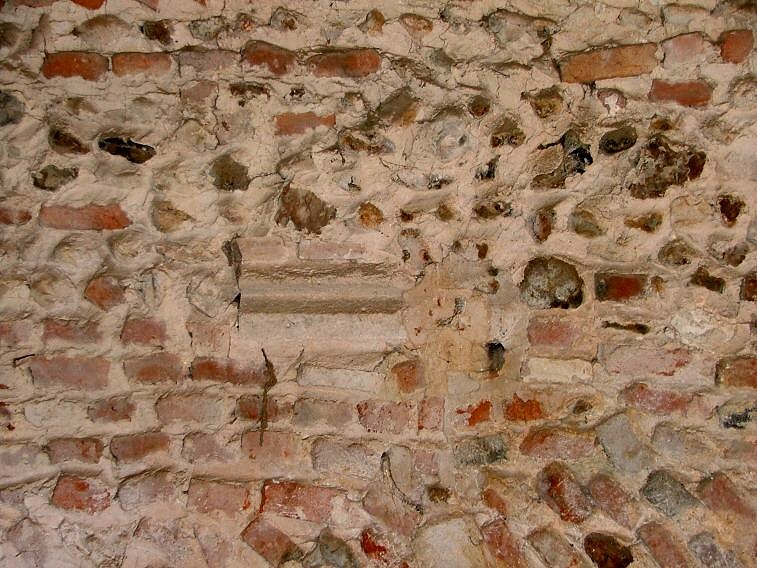 Until the Reformation there was a parochial chapel of ease here, dedicated to St Nicholas, and enough survived in the early 1960s for Pevsner to make out the south transept and ruins of the north transept and chancel. 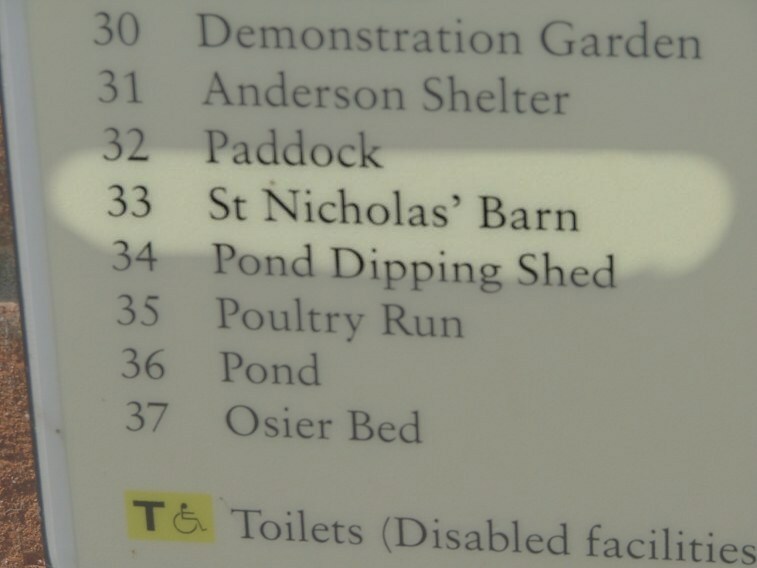 Today, all that survived has been built up into the walls of a barn of the model farm, poignantly named on the map as St Nicholas' Barn. 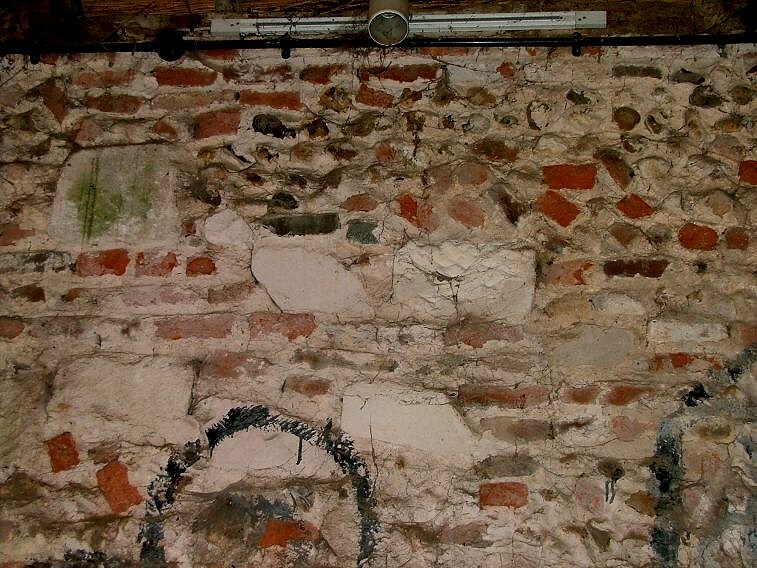 Pieces of old masonry, including corbels and lumps from doorways and possibly memorials, are set in the interior walls, and you can see them below.